Are you looking for a job? No rush, you’ll find the right workplace that will launch your career. Are you thinking of going abroad as well? Hold that thought! 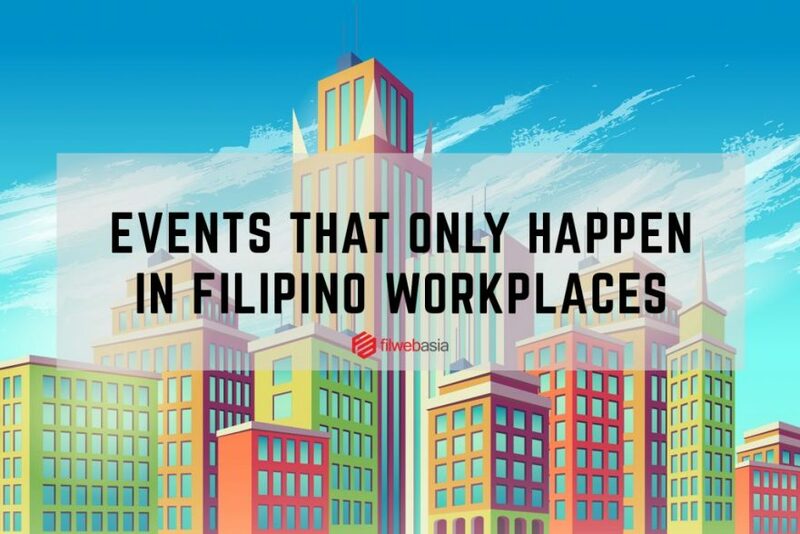 Before facing other country’s work culture, did you know there are different events you can only witness if you work in a Filipino workplace culture? You might be wondering what these events are. 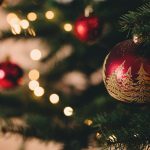 Aside from Christmas parties and company anniversaries, there are lots to discover about the work culture of Filipinos. Who doesn’t love a good party? When you’re new at the office, expect that Filipinos will be hospitable as possible. They might invite you for lunch, or engage you in a simple conversation. 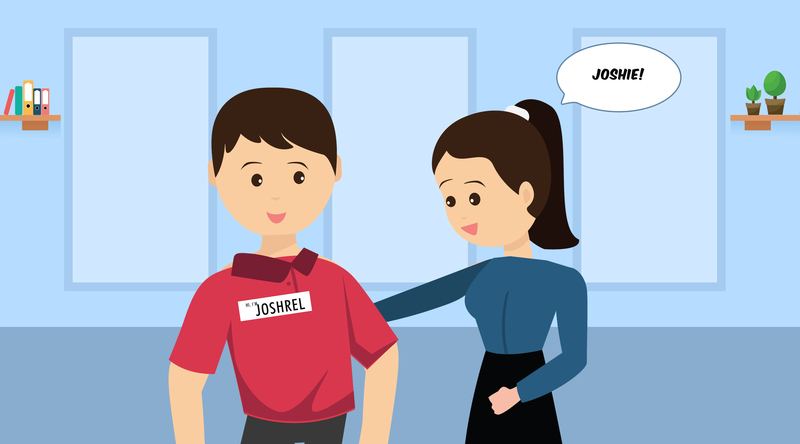 Sometimes in small companies, there would be an assigned person to introduce you to the colleagues in your department. You could get insider info about the existing workplace culture in this welcoming party. 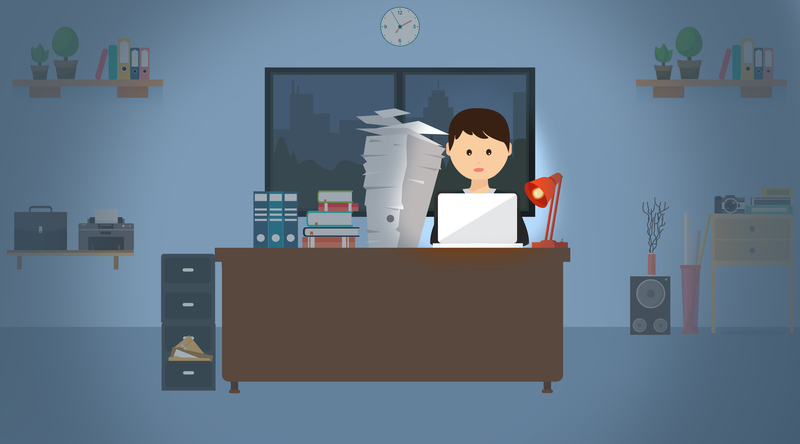 Info could come in the form of unwritten or unspoken dos and don’ts, or even who’s who at the office. “Where do you live? What’s your age? Are you still single or already married? What shall we call you?” No, you did not enter a dimly lit room full of people who will interrogate you. However, you could liken the mood to that kind of situation. Because you’re the newbie in the office, expect that they will ask questions to get to know you. Among our Filipino values is being inquisitive and friendly. So in order for you to acclimate, you should prepare for that friendly interrogation. 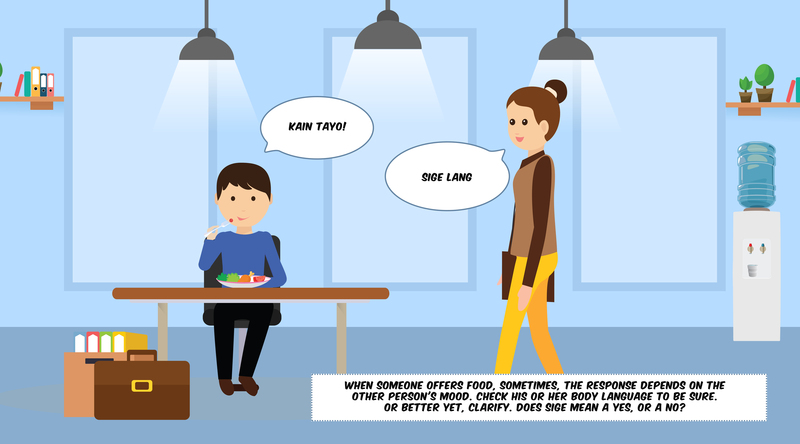 If there’s one surefire way to charm the Filipino workforce in general, it’s through food. Expect that potluck will be a common occurrence at the office. Every time there are meetings, expect that food will be included. The Feast does not only happen during meetings. Part of Filipino workplace culture is to be generous with what you have. Even if it’s just a simple lunch, expect that there would be sharing for everyone in the room. 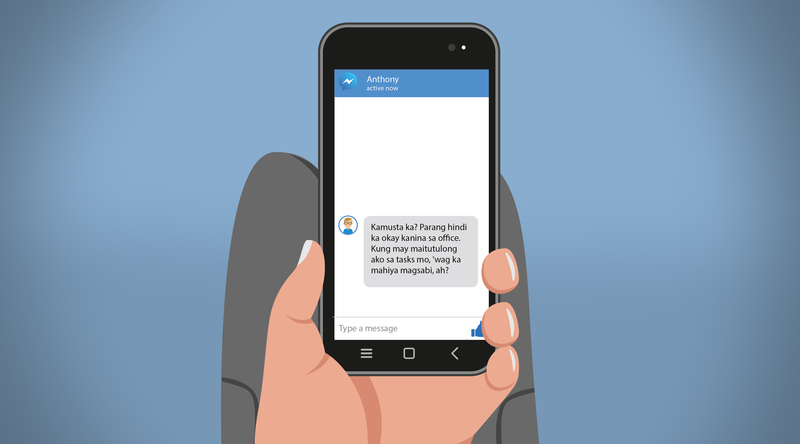 Filipinos build their corporate culture based on personal relationships. If you want to be in harmony with your colleagues, you must be friends with them, too. Join them for a group lunch or just for a snack when you buy proven, ice cream, kwek-kwek, fishball, or turon in front of your office. Volunteer to help them with their tasks, or strike a conversation. You could even crack a joke or two. Just don’t miss your cue. Sure, you can play mini games to get to know more of your colleagues. But are you aware of a different kind of charade existing in Filipino workplace culture? Filipinos have a queer characteristic called hiya. It’s an uncomfortable feeling that accompanies awareness of being in a socially unacceptable portion. With this, their body language could be your cue on how to navigate a situation. Like charades, you may try to guess whether a yes is just a yes, or perhaps a maybe. It could sometimes mean a no. 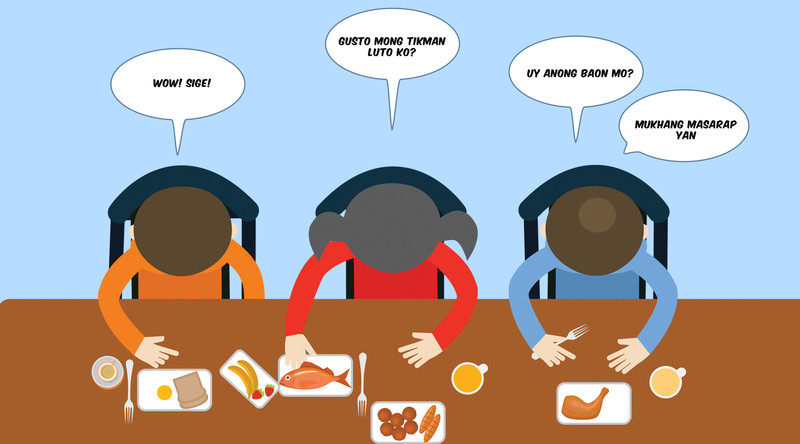 For example, when was the last time you heard someone ask you, “Gusto mo?” (Would you like some?) then you answered, “sige”? The meaning of “sige” will differ depending on your mood. Likewise, a smile isn’t just a smile. It could be a non-verbal response to a greeting, or a response to save face, because you didn’t know how to respond in a conversation. You know you are already part of the team when you got yourself a nickname. Mind you, it’s not your usual shortened form of your name. Your baptism signifies the team welcomes you to the family. You could be the ‘bunso’ (the youngest), ate (older sister), kuya (older brother), tita (aunt), tito (uncle), or in some cases, the lolo (grandfather) or the lola (grandmother). Nickname giving similar to this is common in Filipino workplaces because among the Philippine cultural values, the family is important. Aside from the usual Christmas gifts, Filipinos love receiving pasalubong (trinkets). When a colleague goes on vacation, expect friends and colleagues to ask for small tokens from the vacationer. Called pakikisama, it is when you aim to please your colleagues, so you get along in the office. 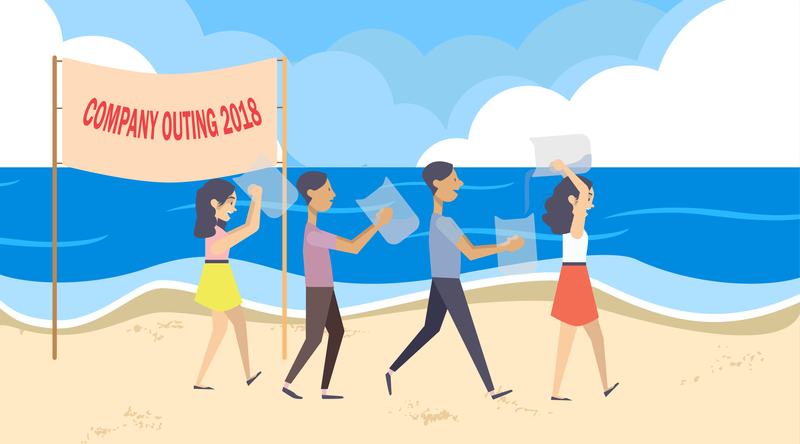 Filipinos are not slackers; in fact, they wouldn’t hesitate to stay behind just to finish the task or to achieve the team goal. 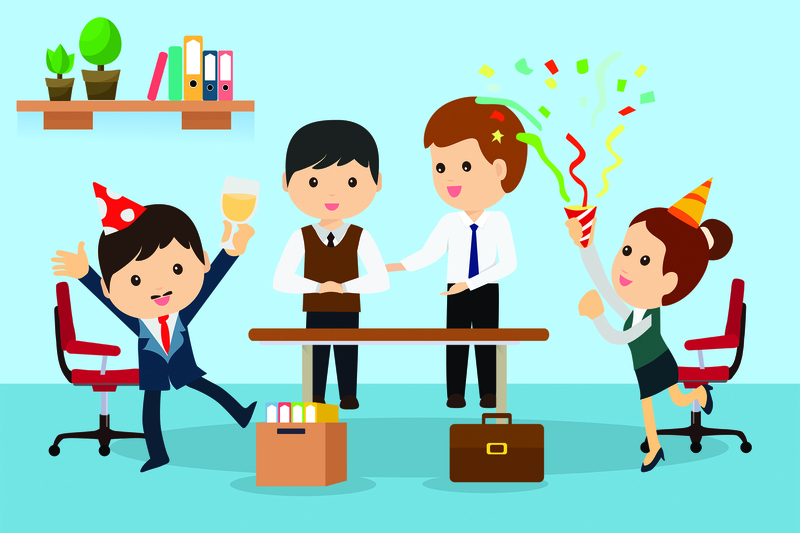 As a reward for their hard work, just expect your colleagues to reward themselves with lunch or dinner to celebrate. Can you get behind this type of body building? Filipinos are loyal. If you become part of the family at work, expect them to help you, even outside the office. 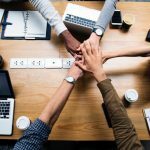 If you become part of a company that cares for its employees, you may notice that some of your colleagues work for the company for 10 years or more. In corporate culture, being loyal is valued. It could pose as a test for millennials in general–to stay in a company for a long period. Are you up for the challenge? 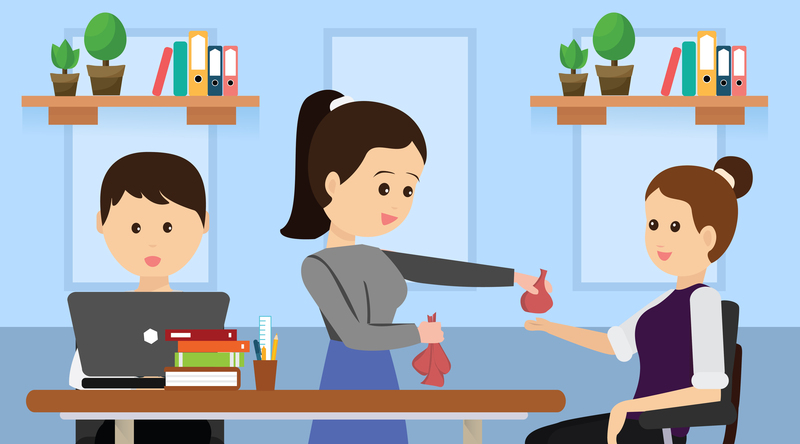 By now, you have an idea how the Filipino workplace culture differs from that of other nationalities. We’re loyal, hardworking, and family-oriented. But apart from these virtues, did you know, we are known worldwide for our language proficiency? The Filipinos are known to be excellent English speakers that make us competent in dealing with foreigners who visit and do business with our country. 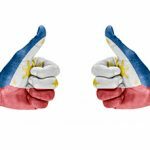 A large number of Filipinos could speak and understand English, that’s why our Filipino cultural values get recognized worldwide. Because of our ability to learn and integrate our Filipino values to our work ethic, Philippine companies now serve clients worldwide. So before you consider working abroad, why don’t you try working for a Filipino company that produces world-class output? Don’t miss out experiencing the Filipino workplace culture as you target your dream job! Apply now.